Poland’s new prime minister is as much on a collision course with the Commission as with his own party. 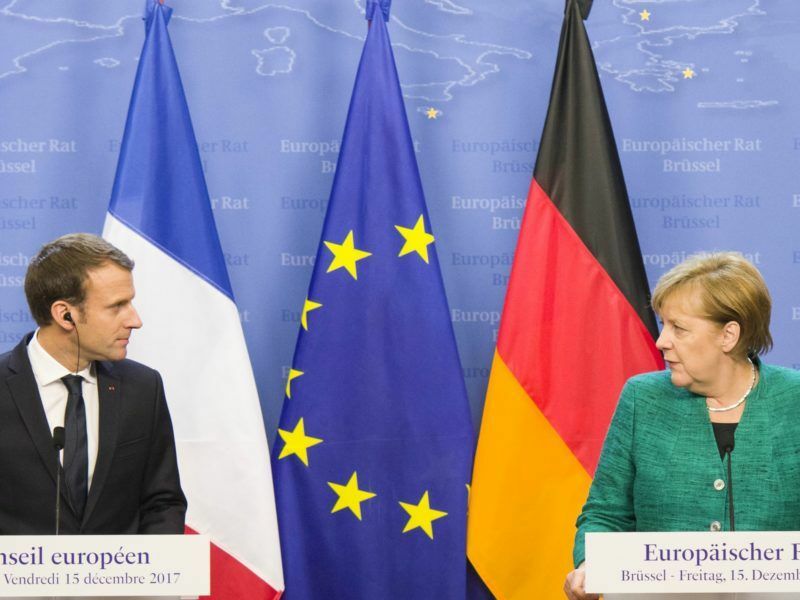 His first-time appearance and early departure from the last EU Council held on 14-15 December indicate that his future is still uncertain, writes Wojciech Przybylski. Wojciech Przybylski is the editor-in-chief of Visegrad Insight, an analytical website focused on Poland, the Czech Republic, Hungary and Slovakia, and the chairman of Res Publica Foundation in Warsaw. He recently published a book, ‘Understanding Central Europe‘, Routledge 2017. 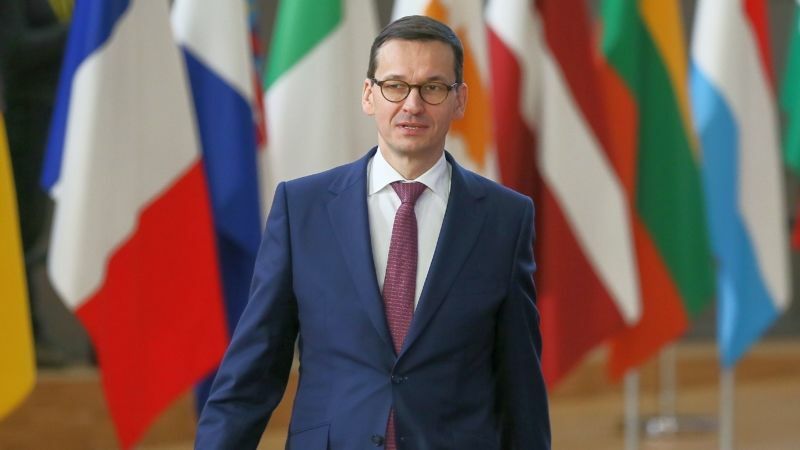 Mateusz Morawiecki is about to be caught in a tough battle: the first front will be with the European Commission, defending his government’s position, and the second will be coming from within his own party, where he has to repel internal critics. Members of the ruling PiS party are not exactly big supporters of their deputy chairman, which will make him even more dependant on the grace of Jarosław Kaczyński. And the partial reshuffle of the Polish government still defies full explanation. On 13 December, Poland confirmed Morawiecki as the new prime minister instead of Beata Szydło. She was demoted by the party by one rank and replaced at the helm by her former deputy. His mission, among others, is to restructure the government as early as January 2018 – the right kind of job for a former bank CEO. It will also be a test of his strength in pushing through more technocratic specialists against ideological hardliners like Antoni Macierewicz, the controversial defence minister. Should he fail, Kaczyński may very well take over, for the last time. Looking back at previous prime ministers in PiS governments, Morawiecki may not last too long. Not many remember a very popular prime minister, Kazimierz Marcinkiewicz, who assumed office in 2005, only to be dismissed by Kaczyński when it appeared that the PM was not consulting his patron on every decision. As humiliating as this would be for any other politician, Szydło – one of the most popular politicians in Poland – smiled and is still well received by her party. Her popularity may yet be well used by Jarosław Kaczyński, who is pulling strings from the back and may use her in upcoming electoral battles. Or he may choose not to. As is his custom, Kaczyński may not allow any new contender in his own ranks. If she stayed in office, Szydło might very well become more powerful, especially if she allied with Zbigniew Ziobro, minister of justice and leader of Solidarna Polska – one of the governing coalition members. Yet, she has proven so loyal to Kaczyński – obeying him against her own judgement in the 27:1 vote against Donald Tusk – that he might set her popularity aside for future electoral battles. Expecting a reputation blast from the Commission, he opted to put forward a pawn whose likely political defeat would not cost him the loss of power in the party. Kaczyński indeed cares more about his alpha role in the party than about any official government structure of the country. Naturally, there are several other explanations, like difficulties in coordinating policies between ministries, which Szydło was unable to whip up. Or yet another test of loyalty of the party to its chairman, who decided to force through the least welcome candidate for the post. Many had wanted Jarosław Kaczyński to take the office and consolidate the centre of power, which he holds in his hands anyway. Instead, Mateusz Morawiecki, an heir to Kaczyński’s nationalist ideology and intellectual ambitions that were not met by the predecessor, is yet another political experiment of the PiS leader. This decision came at the political climax of this government’s term. Parliament just passed judiciary laws that should give the ruling party tools to subordinate the judicial branch and exercise non-democratic pressure. Morawiecki’s appointment may seem like an additional smokescreen to mask the ruling party’s takeover of the judicial branch. Yet, this was hardly Kaczyński’s intention. Morawiecki fully supports new changes, publicly advocating for the new law. It seems to be in line with his conviction that legal order is secondary to majority rule. The new PM is more likely to use his managerial skills in what the investors call a hostile takeover – introducing changes in the governance and structure of an organisation at great speed. By introducing new judiciary reform laws Poland will likely produce unfair elections and give the party a stronger grip over potential corruption cases, which usually damage political rankings ahead of elections – following the Hungarian scenario. It may also be an attempt to put Donald Tusk in front of a panel of judges – under the influence of PiS – to at least humiliate, if not imprison him, in connection to the death of Lech Kaczyński in the plane crash in Russia in 2010. And if that plan does not work out, Morawiecki may not last for too long. In fact, his position is already under threat, both from the inside and outside. In order to stay in office, Morawiecki, a former advisor to Tusk, has to continuously spin the schadenfreude driving Kaczyński’s political revenge. 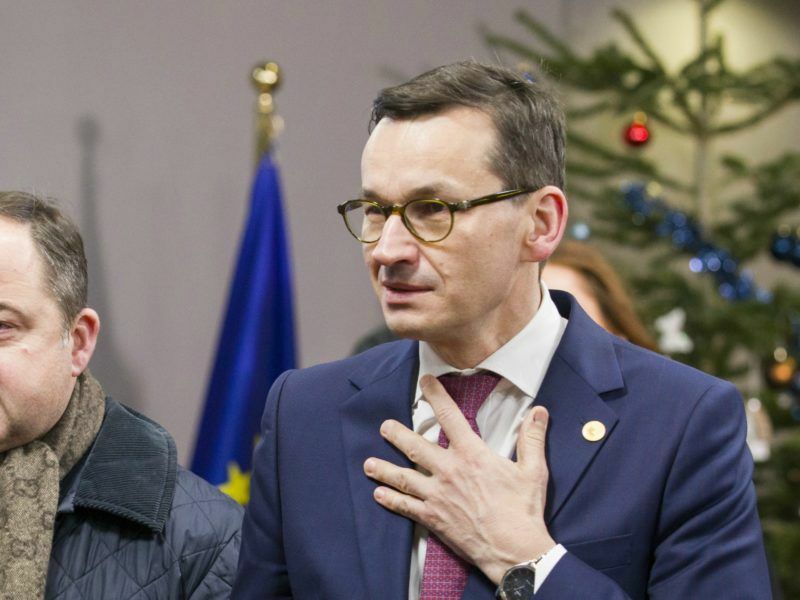 This is why during the first week in office Morawiecki spoke of re-Christianising Europe – a narrative playing music to the ears of far-right Radio Maryja audience that currently sponsors Defence Minister Antoni Macierewicz’s faction. On the other hand, he had to start his term by providing reassurances to the US – Poland’s key security ally – that freedom of the media will be respected after TVN station, owned by a US company, was fined €360,000 for reporting on democratic protests in Sejm a year ago. Morawiecki is also expecting the Commission to begin the next stage of the Article 7 procedure. His preemptive comments were a smart move to discount the reputational blow to be delivered by the EC. His predecessor was more reactive in her responses, usually firing back at the Commission’s decisions and criticism, rather than anticipating its moves. But will the new approach help to manoeuvre Poland out of the ostracism trap? It is rather unlikely. Poland’s soft power was already in not-so-good shape before Morawiecki took office. His managerial skills and diplomatic talent may not be enough to match the upcoming diplomatic and legal thunderstorm. In any case, it is going to be a real crash test for the new leader of Poland’s right-wing government. Tusk deserves death penalty not imprisonment for his corrupt liberal wrong doings!